Liverpool will be without Dejan Lovren and Alex Oxlade-Chamberlain as they travel to Porto for their Champions League quarter-final second leg on Wednesday. 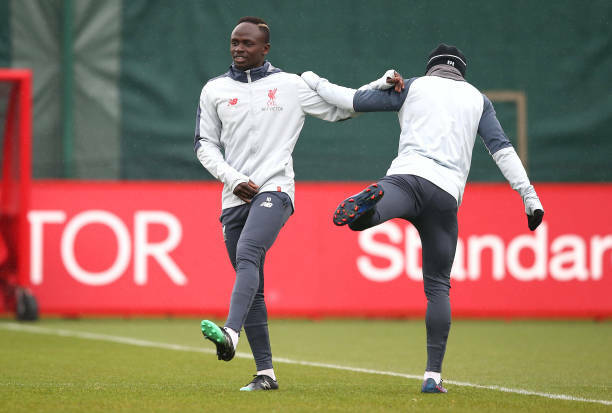 The pair both missed training at Melwood on Tuesday ahead of the game and have not been included in Jurgen Klopp's 21-man squad to head to Portgual. Lovren misses out due to illness, with Joel Matip in pole position to replace him in the starting line-up rather than youngster Joe Gomez. Oxlade-Chamberlain, meanwhile, will carry out more fitness work as he continues to get back to match fitness after almost a year on the sidelines. The Reds hold a 2-0 lead from last week's Anfield first leg and are in pole position to secure a spot in the semi-finals. Club captain Jordan Henderson is included having been forced off with an ankle problem in their 2-0 win over Chelsea on Sunday. Henderson is likely to feature in a more attacking role again after a recent change of tactics by Jurgen Klopp which has seen him excel alongside Naby Keita and Fabinho. Young Irish goalkeeper Caoimhin Kelleher is part of the travelling party as third choice behind Alisson and Simon Mignolet, plus out-of-favour pair Daniel Sturridge and Alberto Moreno are amongst those heading to Portugal. Andrew Robertson also features after missing the first leg through suspension and he has vowed to do everything within their power to win the Champions League and Premier League double. Robertson said: "We want to go as far as possible in the Champions League and we're taking it right to the wire in the Premier League, whether we win it or not remains to be seen. "Every game is so big at this stage of the season. Every team is fighting for something and there's a lot more pressure on you.